Greater Long Beach/San Gabriel Valley CA Our California chapter is an all volunteer organization. Your support helps us provide education, advocacy, support and awareness. San Diego All Out For Autism 2009 April 4, 2009 The San Diego County Chapter of the Autism Society of America (SDASA) is proud to announce that we are going “All Out for Autism! – Flamenco Nights” for our 9th Annual fundraiser benefiting Camp I CAN (Camp Including Children with Autism Now). We invite you to enjoy a night of scrumptious food, exciting silent & live auctions, great raffle prizes, and fantastic Flamenco dancing all while supporting a great cause! Even if you can’t join us in person that night, please consider other ways to show your support for our one of a kind camp for children and teens with autism. ASA-GGC is the leading voice and resource of the Georgia Autism Community in education, advocacy, services, research, and support. Hudson Valley New York Chapter, Stone Ridge, NY The Hudson Valley Autism Society is a group of parents and service providers committed to helping the Autism Community of the Hudson Valley. Autism Society of Dayton, Ohio Our mission is to provide Support, Education, Advocacy, and Acceptance to the families of those affected by Autism in the greater Dayton area. Adaptivation provides a wide range of Communication Devices and Switch solutions that make learning fun and interesting. Visit www.adaptivation.com for product details and for fun and useful ideas on how to use our equipment with Autism Spectrum Disorder. 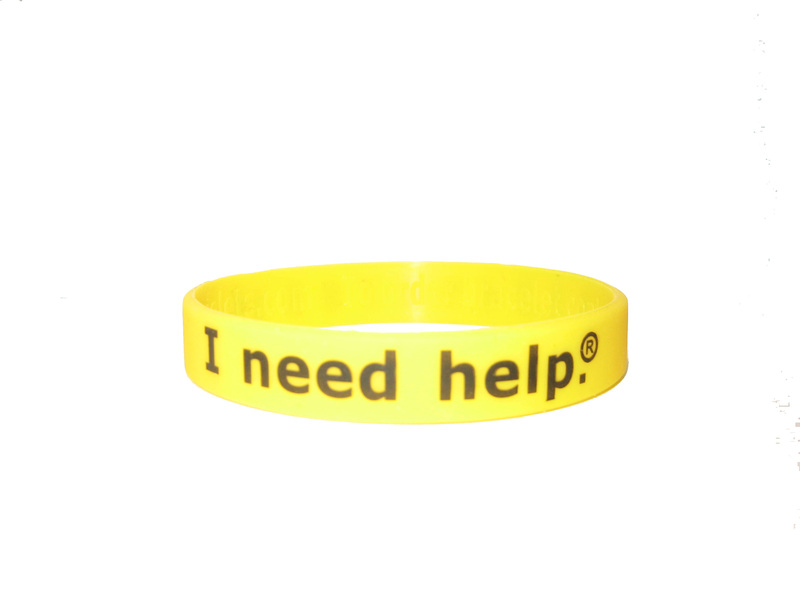 Augmentative Resources, Inc. PO Box 2586 Haines City, Florida 33845-2586 www.augresources.com - cmillerslp@aol.com - Sell the I need help.® Communication Bracelets. AUTISM HANGOUT is an online discussion forum that reports news, complies facts and community-submitted personal experiences andinvites ongoing discussion to discover insights on how best to deal with the daily challenges of autism. Autismshop.com is the online home of the Autism Resource Network, a one-of-a-kind Book Store that is packed with merchandise and information for individuals with ASD and those who love, care for, and educate them. We are a Minnesota nonprofit corporation. Brain Works, Brain & Auditory Training Tomatis-based auditory training stimulates and trains the auditory, sensory, motor, communication, emotional and reasoning areas of the brain. Improvements are frequently observed in sensitivities to sound and touch, social interest, eating, mood, ability to transition, auditory comprehension, desire to communicate, awareness of the environment, reading, math, imaginary play, coordination and attention span. 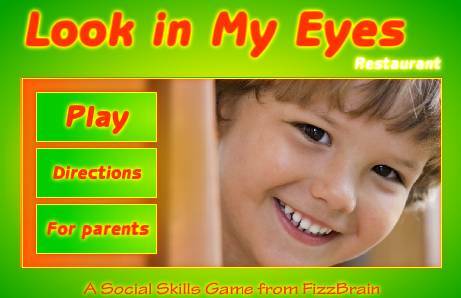 See our website for various auditory and brain training products for home training. You can also come to Gainesville, FL for auditory training at our center. Creative Communicating is dedicated to creating fun , simple and universally accessible resources for communication, early literacy and creativity in young children with disabilities. Disability Scoop is the premier source for developmental disability news. Created by two professional journalists, Michelle Diament and Shaun Heasley, Disability Scoop gathers articles from across the Web and publishes original content on education, health, law, life and money issues affecting those with disabilities and the people who care for them. 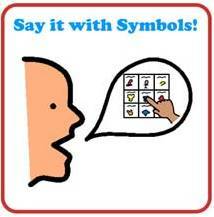 SayitwithSymbols.com – Your first stop for no-tech, low tech supports, ideas and resources to help children and adults communicate using visuals and picture symbols. Find cards and gifts for educators and therapists too! The Logan ProxTalker uses Sound Tags encoded with a unique identification code. The Logan ProxTalker can hold more than 10,000 words. www.specialfriendsonline.com is a free unique worldwide social networking website for people with Learning Disabilities and their parents, careers and volunteers. We aim to open the world of the internet while communicating in a safe, fun and interactive way. Safety and security are our main priority and we want to create a safe haven for friendships to grow. We will provide a safe and secure environment for members to keep in touch with old friends and make new friends, to chat, play games and share inspirational stories with people who really understand them. We have also devised a method of communication called Smiley Talk where people who may experience problems spelling or using a keyboard can chat to each other using smiley face icons and preset questions/answers. (There is a short BBC report on the homepage) Parents, careers and volunteers we will provide you with the tool to contact other families that will enable you to take the unknown out of the challenges that you may meet on a daily basis. We will provide parents/carers with the opportunity to share their inspirational stories and experiences, find useful links and the opportunity to chat to other people. They can also discuss their concerns and goals and share their positive stories and rewards with others who would be grateful for their advice. Talking with Baby was created to help parents, grandparents, caregivers and educators learn American Sign Language and at the same time teach sign to babies while reading stories about everyday events. Activity Trainer (AT) is a software package that teaches skills covering academics, daily living, communication, recreation, social, and vocational. Research shows that many individuals with autism are visual learners and learn much more quickly with video modeling over live modeling. The AT makes this powerful teaching method practical for school and home. There are free trials and the package is reasonably priced. Discrete Trial (DT) Trainer was created to teach individuals with autism by using ABA methods on the computer. The package allows even very low functioning learners to usually become independent learners on at least some of what we need them to know. The DT Trainer covers concepts in receptive language, early academics, and life skills and is for learners developmentally from 2 to 9 years old. There are free trials and the package is reasonably priced. The Electronic Auditory Stimulation effect (EASe) audio CD series is the original disc based auditory intervention program. Houston Enzymes specializes in digestive enzyme products and formulate products for the special needs of children and adults. Beacon-ridge.com We specialize in unique classroom materials, office supplies, and customer service. WonderBaby.org deserve only the best - and that doesn't always mean the most expensive! We often review products that have worked well for us, from strollers to forks, car seats to bibs, and we'll feature those products here in our store. The Gluten Intolerance Group®, also known as GIG®, is a 501(c)(3) non-profit organization funded by private donations; proceeds from memberships, the sale of products and our educational resources. 85% or more of our revenue is used to support our programs. We are led by a Board of Trustees, and GIG's Medical Advisory Board approves all education materials. The mission of the Gluten Intolerance Group of North America® (GIG) is to provide support to persons with gluten intolerances, including celiac disease, dermatitis herpetiformis, and other gluten sensitivities, in order to live healthy lives. Merion Publications Inc., http://company.monster.com/merion/ , is the company behind the popular ADVANCE Newsmagazines, publisher of 31 publications and multiple Web sites, and host of more than 30 Job Fairs and CE Events serving over 1.7 million healthcareprofessionals across the nation. http://shop.advanceweb.com/ We carry more than 4,000 different products for over 50 medical and allied healthcare specialties. ADVANCE Newsmagazines - Advance Healthcare Shop - www.advanceweb.com - 3100 Horizon Drive King of Prussia, PA 19406 - Sell the I need help.® Communication Bracelets. New Beginnings Nutritionals dietary supplements A complete line of allergen-free, potent and pure nutritional supplements specially formulated for children with autism. Make-the-grade-ot Through my pages I hope to share with you, a little about Occupational Therapy and my love of it. I've seen many children benefit from the help over the years. The Center for Inclusive Child Care, Concordia University, St. Paul, MN The Center for Inclusive Child Care mission is to create promote and support pathways to successful inclusive care for all children. The project is a comprehensive resource network for inclusive early childhood, school age programs, and providers. is a Therapeutic Intervention Agency that provides ABA services to individuals with developmental disabilities. We have over 15 years experience serving children special needs. ABLG is an accredited agency and certified by the New Jersey Department of Education.